umigation wooden cases, which are well sealed and strong enough for long term trip, and suitable for multi-times loading & unloading by forklift. 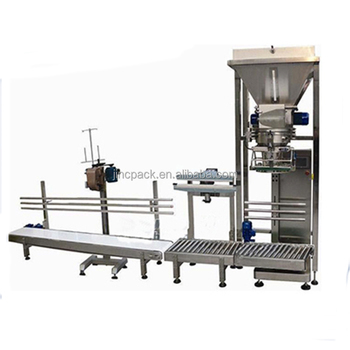 The Granule packing machine is designed according to the national standard GMP, can finish a sequence of work: measuring, bag, filling, sealing, sewing, deliver and other processes. And widely used for food, medicine, building materials, plastic, chemical and other industries packaging powder materials. Such as milk powder, rice noodles, cereals, coffee, sugar, coffee, glutamate, solid beverage, glucose, solid, pharmaceutical, pesticide, granular additive. The main parts of machine is made by 304 stainless steel. With the famous brand of the machine body, motor, cylinder, electrical accessories, pneumatic components, pneumatic sealing machine, sewing machine. And the customer could choose the brand himself. 1.Designed according to the national standard GMP, up to hygiene standard of foodstuff. 2.The parts which contact with the filling are made of 304 stainless steel, suit for Anti-corrosion chemical products packing. 5.With the Roller and PVC conveying belt (the skeleton is made of stainless steel) to deliver the products. 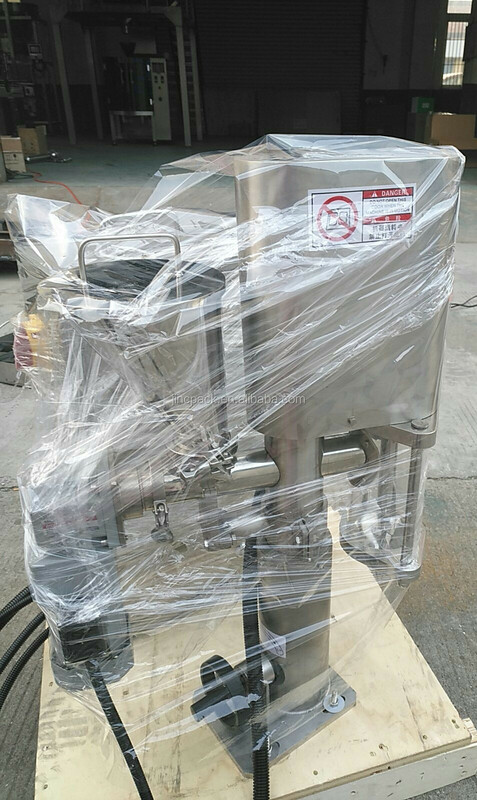 Double screw feeder .The roller can be taken down to clean, easy to clean, cleaning with no dead angle. 6.With calibration procedure: equipped with weights and calibration hooks, calibration at any time, especially can calibrate the weight for the machine long time no use. A: Yes, we are a professional manufacturer specialized in packaging machine, conveyor etc. We have a strong design &technical team. We can design and manufacture as per your requirements. A: Please provide us the detail of the work piece such as drawing and dimensions. Q: What’s the shipping cost from China to your country ? A: We can send machine to your port by sea or other term you need. Please kindly tell us your nearest port or address with code. We have reliable shipping agent to ensure the safe, convenient and timely delivery. 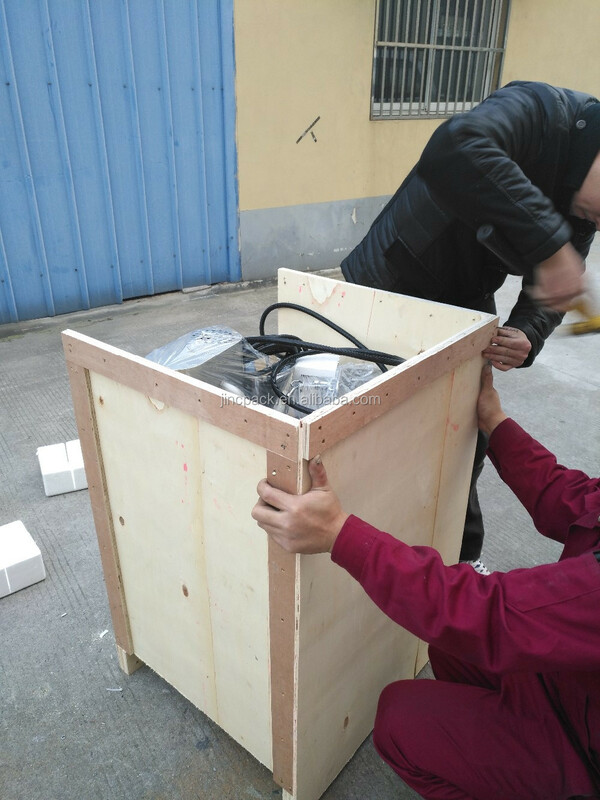 Delivery time: about 25-35 working days after receipt of formal order and 30% deposit. A: As for machine products, our company provides 12 months for all mechanical parts with the exception of electrical and electronic parts and those subjects to normal wear and tear. Meanwhile, the guarantee starts from the shipment (B/L date). The guarantee is intended limited to the replacement of the broken part after checking the construction fault. The inspection of the causes of the trouble or the breakdown of the parts is exclusively up to the manufacturing company. All in all, our company can offer you assured products. storage, final storages, worker’s restroom, etc. for the commissioning service.1-2 of our engineers will go to your factory to install and adjustthe processing line to realize normal production at shortest time. and repair all the machines, until the workers could well operate the processing line. the date of completion of commissioning service. Shanghai JinChi Machinery is a professional company for all kinds of packaging machine. Our main products include: Weighing granule packing machine, Powder packing machine, Liquid packing machine, Paste filling packing machine, Weighing filling packing machine, Automatic packing machine, Food packing machine, Vertical type packing machine, Horizontal type packing machine, Bag forming packing machine, Pillow roll packing machine etc. Also we can customize production line and nonstandard machinery according your requirement.